Snowy Moose Creations: Merry Christmoose! Boy, switching to day shift at work has me all confused! 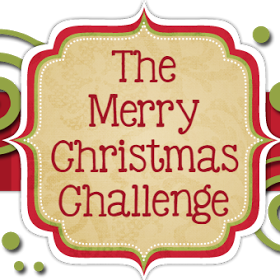 I don't know what day I thought it was but it's Weds and that means there is a new challenge up at The Merry Christmas Challenge blog, and I should have posted first thing this morning. Oooopsie! It's an Anything Goes challenge as always, with this week having polka dots as an optional theme. I love polka dots so I included the optional theme on my card. 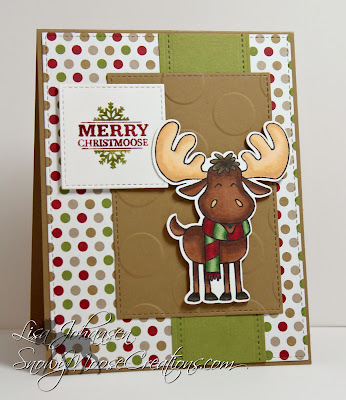 I used one of my favorite stamps, this moose from the Merry Christmoose set from SugarPea Designs. How cute is he (and yes, it's a he, female moose don't have antlers!)? I colored him with my copics and then grabbed some retired DSP out of my stash that had matching colors. The polka dot paper goes with his scarf perfectly and I carried the theme by embossing the brown panel with a large polka dot pattern. The layout is from last weeks Sketch Saturday. LOVE this cute card. 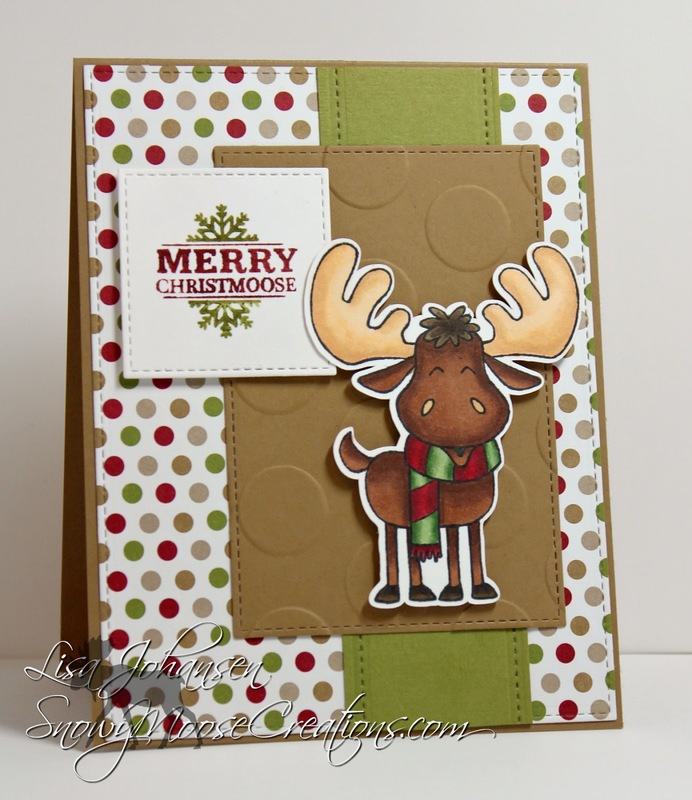 The large polka dot embossing and the smaller pattern looks so great.